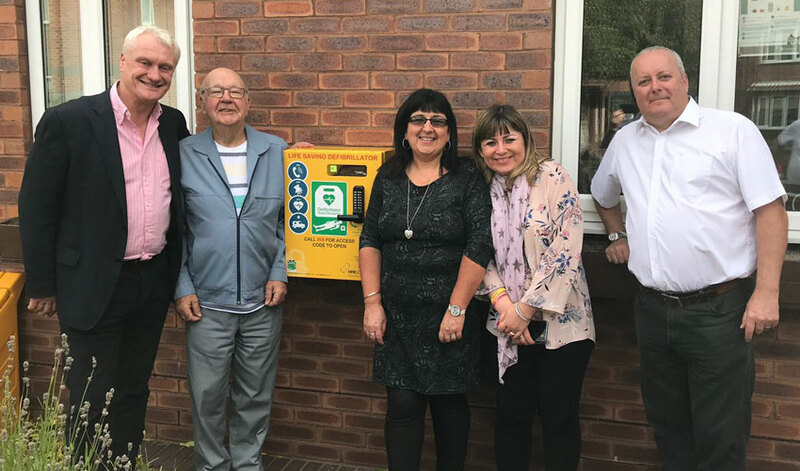 Resident Willy McCutcheon is certainly doing his bit for the community by raising funds for defibrillators in the town. He himself has benefited from a defibrillator. His own life was saved after he suffered a sudden cardiac arrest. However, rather than resting he worked tirelessly to fund more public access defibrillators. He says he is now dedicated to repaying that great gift. He is doing this by ensuring Beverley can benefit from as defibrillators as possible. MP Graham Stuart, a keen supporter of seeing more defibrillators in the community. He visited Mr McCutcheon because of the new defibrillator that has been installed at the Day Centre on Mintfields Road. Defibrillators improve the chances of survival. Research shows that if a defibrillator is used with 3-5 minutes of a cardiac arrest, chances of survival increase from 6pc to 74pc.